Day 1: After local pickups we travel via the motorway networks south toward our destination of Bournemouth. We stop for lunch in the city of Winchester before continuing onto our destination arriving early afternoon. On arrival enjoy a welcoming hot drink as your cases are taken to your rooms enabling you to refresh before dinner. 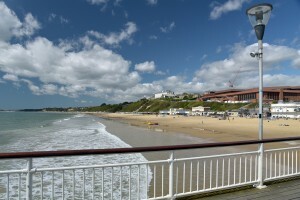 Day 2: Enjoy a relaxing breakfast as today is a free day for you to enjoy all that Bournemouth has to offer. Day 3: Today after breakfast we depart for the delightful town of Weymouth. We detour on arrival to Portland Bill with its unparalleled views across Chesil beach & Bay. 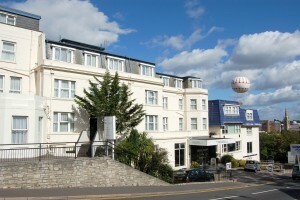 We return to Weymouth with its flat promenade & allow you free time before we depart for the journey back to the hotel. Day 4: Our travels today take us to Poole. Home to one of the world’s largest natural harbours. After free time here we depart for Swanage known as the gateway to the Jurassic Coast. This fun resort is where we board our Heritage Train for the return trip along this well-known route. Upon your return we depart Swanage for the return to our hotel. Day 5: Today we travel into the New Forest travelling across the forest to the historic shipbuilding village of Bucklers Hard. This peaceful village on the banks of Beaulieu River was built for sole purpose of shipbuilding including many ships for Nelsons Fleet. Enjoy all the attractions the village has to offer as well as a short guided river cruise all included for your enjoyment. We depart late afternoon for our journey back to the hotel. Day 6: We head for home. Travelling past Cadnam & onto the City of Salisbury for lunch. After free time we depart & make our way homeward arriving home early evening. Location: Close to Town Centre. Indoor Pool, Spa Pool & Sauna.